Streamline compliance to company specific requirements – from corporate standards to government issued permits and stakeholder engagements. 1Upload a corporate requirement or government permit and set expiration dates and repeating Tasks related to it. 2If it a requirement expires, receive an alert 1 year prior to remind you to renew. 315 days before a Task related to the requirement, receive an alert to complete the task. 4Generate a colour coded report of your corporate compliance. 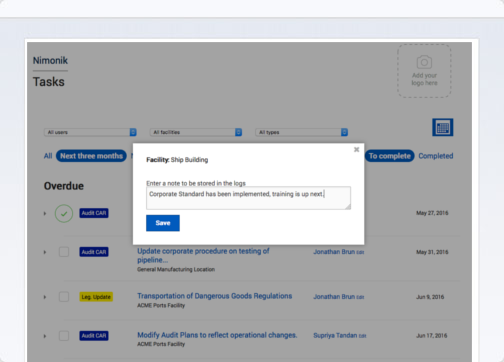 Easily upload your corporate standards and create checklists to audit your operations against them. 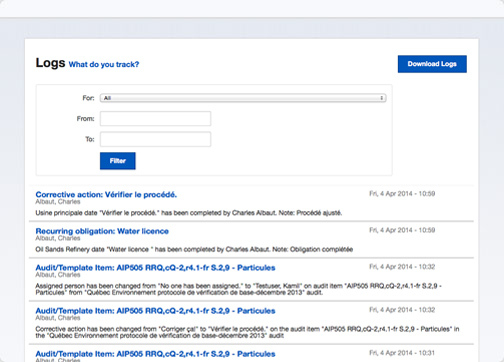 Receive reminders when you need to inspect for conformance to corporate requirements. Easily upload your environmental or other types of permits in Microsoft Word, PDF or other digital formats. Alternatively, you can link to permits hosted on your internal document management system. 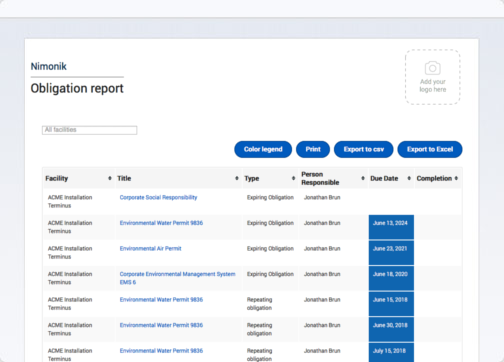 With our centralized Tasks page, notifications to send a sample to the government, file a report or renew a permit are all centralized on NimonikApp.com, on our mobile software, by email, or by our integrated calendar widget. Issue access to the right people. 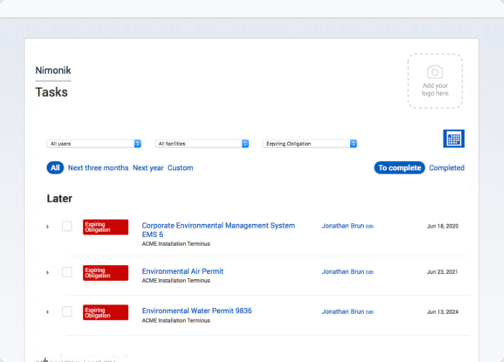 From the Tasks page, you can assign a responsible person and they can review the Tasks related to a corporate standard, permit or government approval. Your team then leaves a note and Nimonik logs the date and time, creating a rigorous paper trail of your compliance efforts. Demonstrating compliance requires evidence. When the external audit comes, you will be ready. 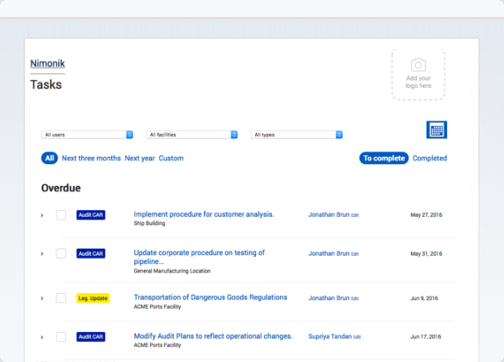 With Nimonik, you will build up a detailed history of your legal compliance efforts, reviews and actions taken. 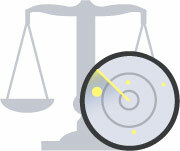 All your compliance efforts are quickly demonstrated at the click of a button.